Communication seems to be a heavy word and actually it is. Communication a not just a heavy word in fact it is a fully fledged process of interwoven steps. It consists of many components from a sender or speaker to the receiver or listener. There are many levels of communication too. Its levels may vary depending on the line of communication.You can also see Social Media Strategy Template. Communication is to express your ideas, feelings and everything what you have in you, it means it is one of the lifelines in the world. When it holds such an importance in our lives, it is to be managed and effective. 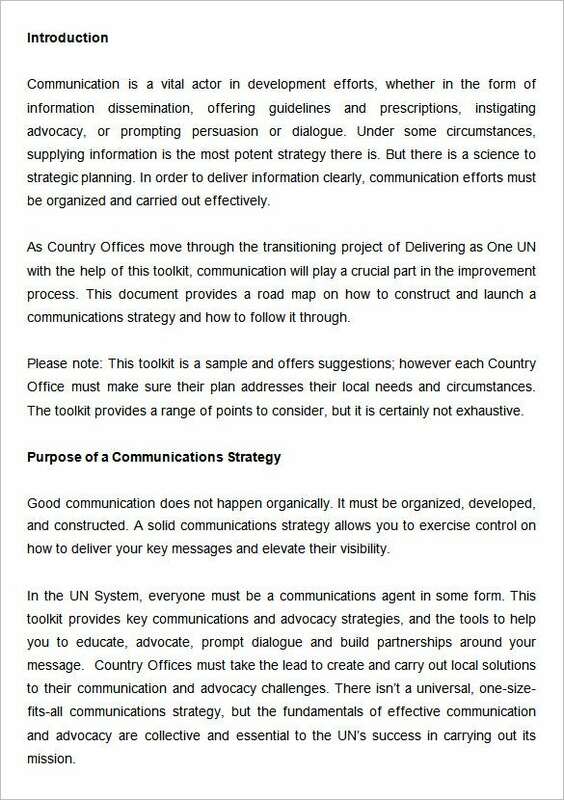 To make your communication effective, use communication strategy template.You can also see Strategy Template. 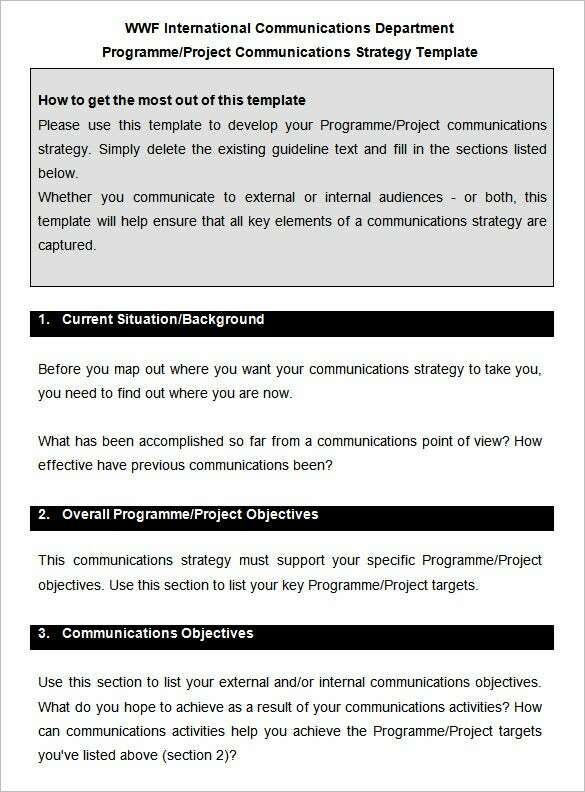 If you need help in formatting a standard project communications strategy template, the template here would be helpful for you by offering ideas on what to map out and your objectives to highlight. 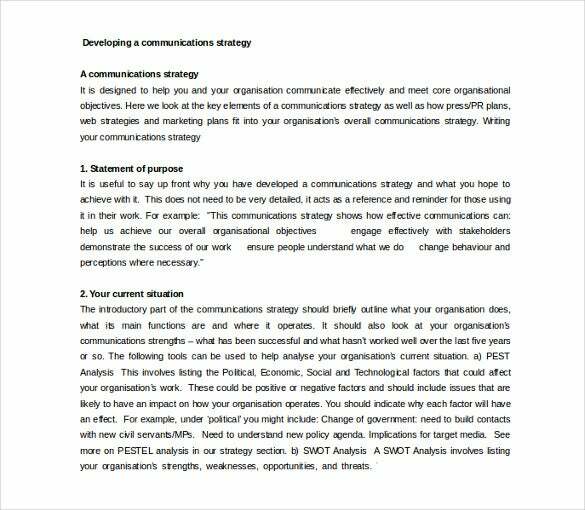 This template here offers a detailed guideline on what to include in a professional communication strategy plan such as the communication objectives, the key audiences to target, the most preferred communication channel etc. 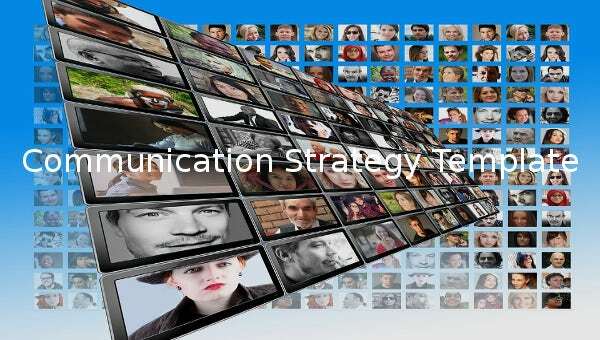 You are getting a detailed idea on drafting a communication strategy here through discussions on the importance of communication as well as what should be the purpose of a standard communication strategy. 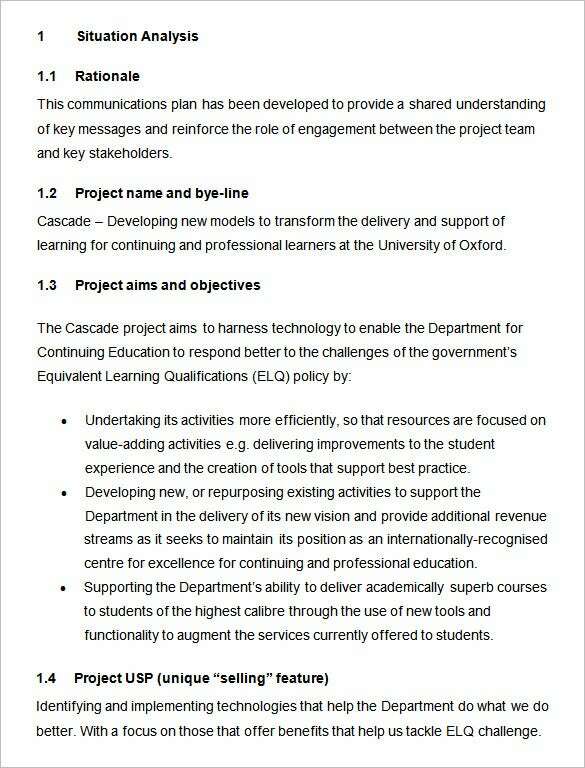 This communications & engagement strategy template covers all the important sections to be covered under such a plan like the mission behind it, the project aims & objectives as well as project USP. 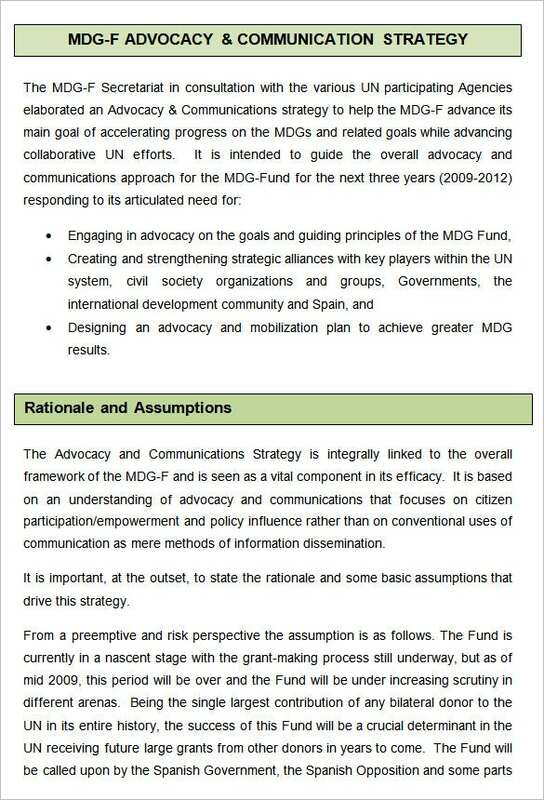 If you need ideas in drafting a standard advocacy & communications strategy, this template here would be greatly resourceful with its readymade framework on the strategy objectives, rationale and assumptions. 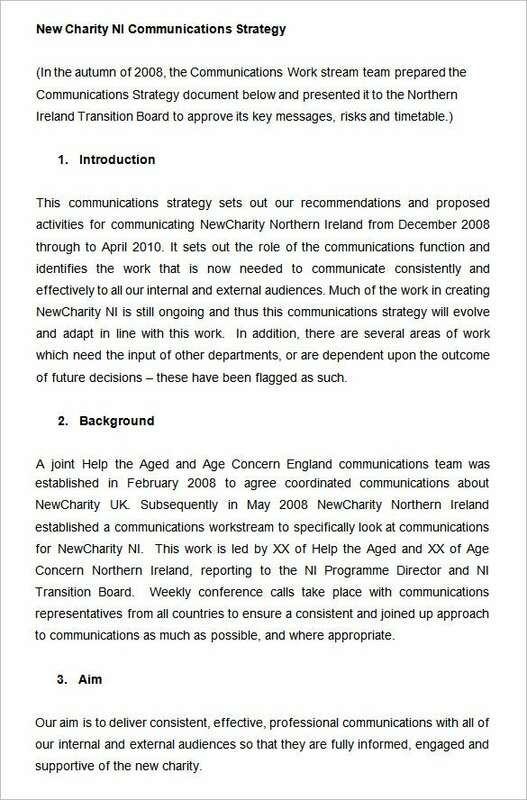 Do you need to format an appropriate communicate strategy for your charity? 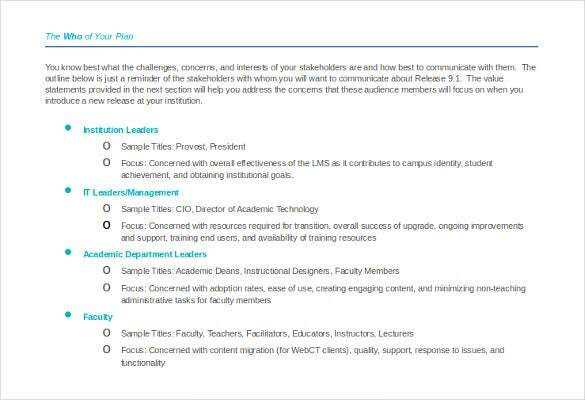 Well, this template here shows how such a plan looks like with readymade contents on introduction, background and aim of a communication strategy. 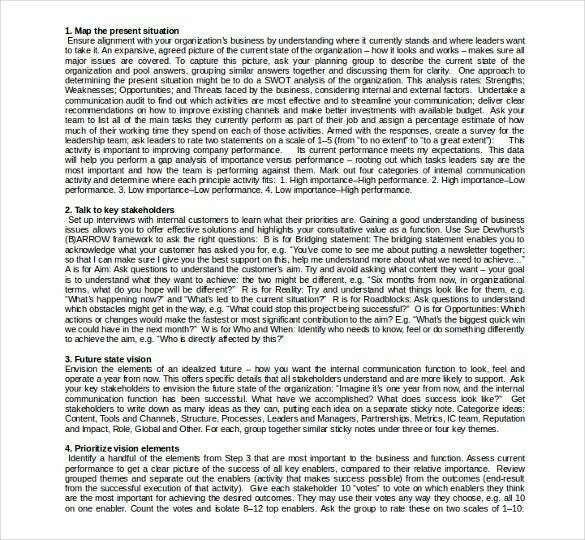 www.melcrum.com | There are different steps to formulate a proper professional communication strategy and this template here highlights on all the nine steps needed such as mapping the situation, talking to shareholders, prioritizing vision elements etc. 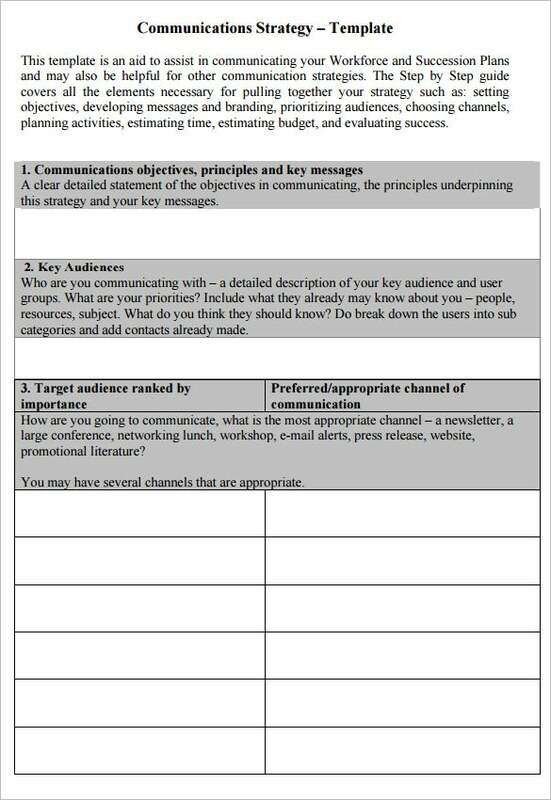 knowhownonprofit.org | A standard communication strategy involves different sections and if you need help in understanding the varied steps of communication strategy – the template here says which sections to include and what to include under them. 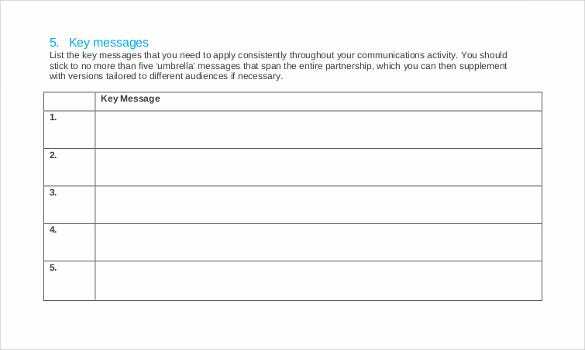 www.education.vic.gov.au | If you are looking for ideas on what to include in your corporate communication strategy, this template here would be helpful for you with its different pointers for a perfect communications plan- you are also getting directions on the contents for such pointers. 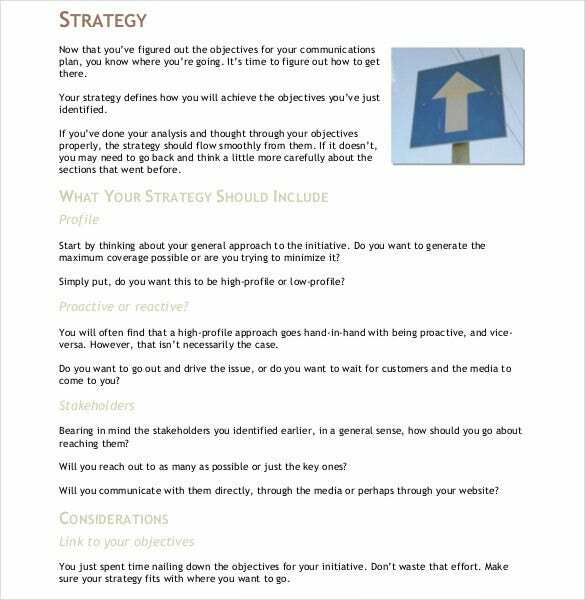 davefleet.com | If you are looking for ideas on what to include in your corporate communication strategy, this template here would be helpful for you with its different pointers for a perfect communications plan- you are also getting directions on the contents for such pointers.